A member may bring up to 4 guests to a speaker meeting at $10 per guest. Non members are allowed to register for up to 2 meetings per year; they may also bring a guest. A rising India wants a seat at the table of global powers, and is ready to set its own terms on everything from defense to climate to trade. Ayres considers how a fiercely independent India seeks its place as a leading power, and how the United States should respond. Alyssa Ayres is senior fellow for India, Pakistan, and South Asia at the Council on Foreign Relations (CFR). At CFR her work focuses on India’s role in the world and on U.S. relations with South Asia. 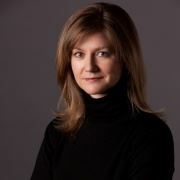 In 2015, she served as the project director for the CFR-sponsored Independent Task Force on U.S.-India Relations, and from 2014 to 2016, as the project director for an initiative on the new geopolitics of China, India, and Pakistan. She directs the U.S. Relations with South Asia Roundtable series, blogs regularly for Asia Unbound, and is a contributor to Forbes.com. Her book about India’s rise on the world stage, Our Time Has Come: How India is Making Its Place in the World, was published by Oxford University Press in January 2018. Ayres served previously as deputy assistant secretary of state for South Asia from 2010 to 2013, covering all issues across a dynamic region of 1.3 billion people (Bangladesh, Bhutan, India, Maldives, Nepal, and Sri Lanka) and providing policy direction for four U.S. embassies and four consulates. Originally trained as a cultural historian, Ayres has experience in the nonprofit, government, and private sectors, and she has carried out research on both India and Pakistan.